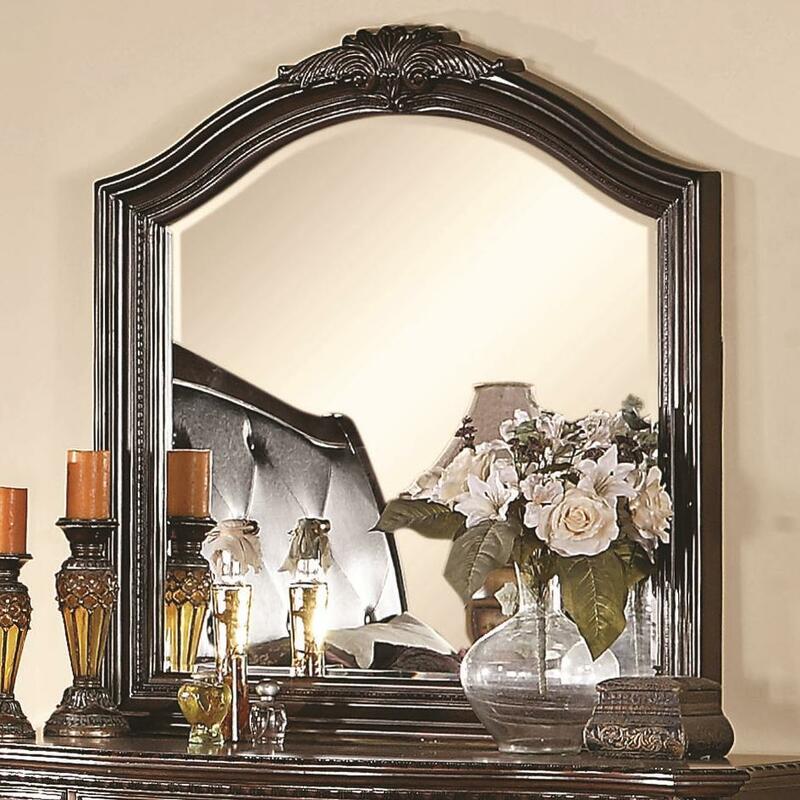 You'll be set with this beautiful dresser mirror in your bedroom decor. 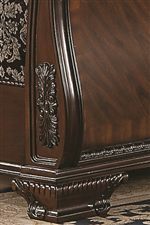 The piece carries a warm brown cherry finish and features an arched top with acanthus leaf as well as reeded sides. Provide elegance and traditional style to your bedroom with this mirror. 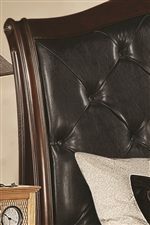 The Maddison Wall Mirror by Coaster at Michael's Furniture Warehouse in the San Fernando & Los Angeles area. Product availability may vary. Contact us for the most current availability on this product.